It's one of the 4 canonic Dzogchen cycles in Yungdrung Bön. That of the Devas, Nagas & Humans. It has always been the intention of 9 Ways to bring practical, all reaching, and important Transmissions for public consumption. Dharma in the West presents many challenges, misunderstandings, and quite the opposite motivation of our Eastern brothers and sisters. Eastern philosophical thought requires a gradual methodology, combined with discernment, practice, and easily grasped concepts, in logical order. This could be interpreted as the Heart Mind connection, Dreams, and deeply rooted 'loose change', which can create unusual circumstances even for the practiced learner. This Transmission offers helpful information, and the identification of personal affairs. We want to point out that 'Bagchak' is rarely discussed in the West, much less presented at all. Rang Sem is also 'new', as far as we know, these 'points' have never come together in such a direct way. Free of being overwhelmed by ceremony, like so many Eastern presentations, Rang Sem is the direct approach, through key texts, to what is really going on. This is a departure from the way things are done under normal circumstances, but things are not normal anymore. Join us for this special retreat to receive the first part of the transmission and instruction of the Heart Essence of the A Khrid Dzogchen teachings from Tempa Lama. This retreat is a special opportunity to attain a deeper experience of meditation and directly recognize the mind’s innate purity. The retreat will combine teachings and dialogue with time spent in contemplation to deepen our experience. The Bön Dzogchen teachings are the highest teachings of Bön as they offer a means to directly recognize the true nature of the mind and further attain stabilization of this recognition. The Bön A Khrid teachings consist of three retreats. This year Tempa Lama will focus on teaching the Nyoshi, the actual practice of the A Khrid Dzogchen through his vivid fresh understanding and experience. During the following two retreats, Tempa Lama will offer instructions on how to distinguish between the ordinary mind and the true nature of the mind and how we can stabilize this recognition through the practice of klong sgom, the spontaneous presence in the natural state. The present A Khrid lineage is also called the experiential Dzogchen transmission. It has been transmitted without interruption from master to student over many centuries, dating back from His Holiness 33rd Menri Trizin (who gave this teaching to Tempa Lama) to the Great Master rMe’u dGongs-mdzod (1038-1096), and before him to Tönpa Shenrab, the founding teacher of Bön. Tempa Dukte Lama is an ordained Tibetan Bön lama. He is the founder and spiritual director of Olmo Ling Bön Center and Institute in Pittsburgh, PA, and co-founder of Humla Fund. Tempa Lama is an artist and poet and author of four books, Heart Drop of the Loving Mother (2014), Journey into Buddhahood (2013), Inexhaustible Miracles (2011) and The Intimate Mind (2011). 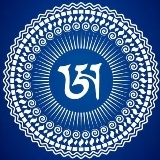 Tempa Lama has studied the Bon wisdom teachings, practices, and rituals in Menri Monastery, India, from the age of six under the close guidance of H.H. 33rd Menri Trizin, the spiritual head of the Bon tradition. Tempa Lama is dedicated to making the ancient teachings of Bön available and accessible in the West, helping people bring a practice of compassion, healing and happiness into their lives. Limited Seating. Make Your Online/Mail Reservation! Become a Olmo Ling member: download a printable form! This retreat is offered at a 10% discount to Olmo Ling members. Read more about supporting us as a member here. September 15-16, 2018 Geshe Gelek Jinpa teaches Dzogchen instructions from the Khandro lineage (Mo Gyud) of Yetri Thasel. December 26, 2018 - January 8, 2019. Yeshe Sal Ling winter retreat with Trulkhor teachings from Lama Sangye Mönlam. April 15-21, 2019. Ma Gyud (mother tantra) practices including Dribsel - removing obscurations - teachings by Lama Sangye Mönlam. Also, longer personal retreats, including dark retreats under guidance and supervision of a Lama are possible. For information, send mail to tinyflame@rediffmail.com (Sophie) If you are interested in a longer dark retreat at a specific time, please inquire at least several months in advance. Volunteering - painting, cooking or cleaning in exchange for accommodation and teachings - is possible at certain times (roughly coinciding with the times that Lamas are present) Send mail to tinyflame@rediffmail.com (Sophie) for possible dates and other details. If you have a special wish or need for teachings on a particular subject, send a message to tinyflame@rediffmail.com and your wish will be communicated to Lama Sangye, who might then teach or organize a teaching on the subject, maybe in the following year. Previous events: 2018, 2017, 2016, 2015, 2014. This traditionally teaching in the ancient Bön tradition clarifies the་principle of luminosity within the channels as it relates to our physical་body. Ordinary appearances of the body can be followed to reveal the་source, our true nature, ultimately gaining realization. The purpose and་uniqueness of this teaching is to uncover our inner self awareness (rigpa) and to have it quickly emerge by cutting the source of confusion. Namgyel for lecture, meditation, questions and answers. Natural Mind meditation is from Dzogchen in the Tibetan Buddhist tradition. The qualities of Natural Mind are normally veiled by our perceptions. What Dzogchen teaches is that we already have a purity of Natural Mind and all of its qualities. It is said that Natural Mind is beyond mind and beyond description. It is the ultimate truth. It is compared to the inconceivable vastness of space, with luminosity and clarity, and a depth of wisdom. With this meditation we can see through conceptional and emotional patterns and experience a bigger, more open view. Very nice for those persons who are interested in different approaches to Dzogchen, given by Buddhist and non Buddhist Teachers. Rahob is one of the loveliest men I've ever met. He also has a very interesting background, having studied deeply not only the Vajrayana vehicle but also lived 7 years in Japan to study Zen and also 10 years in Thailand to study the Therevada-tradition. Which is, as we all know, quite uncommon for someone considered a tulku in any Vajrayana lineage. He is the head of the Rahob monastery, yet resides in upstate New York. However, he is rather old now, and his physical health has deteriorated over the past few years. Join us for the second installment of Chaphur Rinpoche’s teaching on the 21 Nails. One of the innermost secret teachings from the Zhang Zhung Nyen Gyud (Aural Transmission of Zhang Zhung). Each of the 21 nails describes an essential point of Dzogchen practice – Directly cutting through doubts about one’s Natural State by tracing the Nature of Mind back to its Source. The teaching of the 21 Nails is a direct expression of Enlightenment – our Natural Mind. Each Nail describes this Natural State from a different point of view. The views are called “Nails” or “Seals” because they stabilize ones experiential understanding of the Natural State. These teachings are said to have come directly from the Primordial Buddha, Küntu Zangpo, who then passed them down by direct mind-to-mind Transmission to 8 successive Buddhas. It was then transmitted orally to 24 human Bön Lineage Holders, all of whom were Yogis and Siddhas who achieved the Rainbow Light Body. In the 7th century Gyerpung Nangzher Lodpo set down the teachings in writing for the first time in the Zhang Zhung language after receiving them from Tapihritsa, the 25th Zhang Zhung Master, during their third and final encounter. This Teaching has been transmitted in an unbroken succession of Lineage Holders down to our Teachers of the present day. The weekend of March 22-24, near Boston, MA, an instructor authorized by Tenzin Wangyal Rinpoche will teach a workshop on tsa lung trul khor. Please read the event description below or send me a message for more information. Below the link gives entrance to Bön Dzogchen webcam teachings from Ten Gelek Geshela on FB. His teachings are very to the point and complete. TWR, gives many webcam teachings. He is a Menri Geshe and direct follower and student of Lopon Tenzin Namdak Rinpoche. Lopon La Tenzin Namdak Rinpoche , welcomes the webcam teachings of TWR, so one can follow these teachings. So Menri Monastery offers via TWR and Geshe Gelek Rinpoche qualified Dzogchen webcam teachings, a blessing for Bönpos who live in remote areas and whose wallet is small sized.